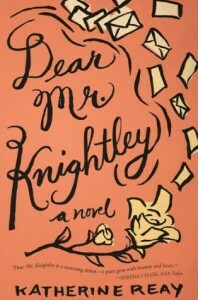 DEAR MR. KNIGHTLEY: A NOVEL by Katherine Reay made me cry. I was concerned there wouldn't be a happy ever after and I would have been okay with that. But the author sneaked one in at the end and made it work. And I'm okay with that too.